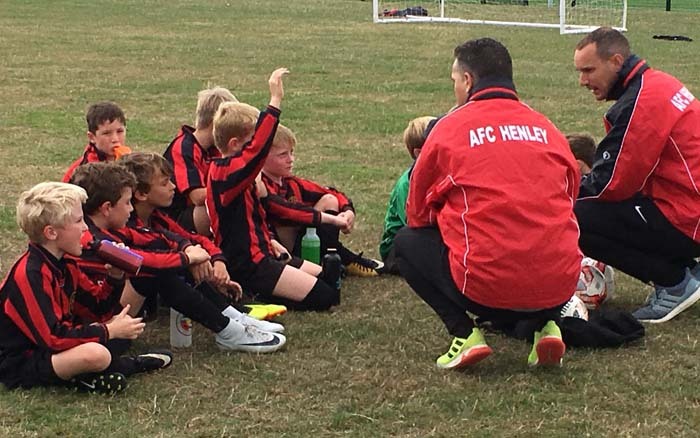 Coaches Mark and Ryan led the AFC U9 Hurricanes to a convincing 4-2 win over Eldon Celtic in a tough opening match away from home. The first quarter got under way with Henley taking much of the possession as Charlie Cooper and Josh Ashford piled on the pressure to keep the ball in the opposition half, however it proved a challenge to get through the home team defence until Charlie Myers managed to get an early shot in but unfortunately couldn’t quite find the net. The next quarter saw Freddie Estornel with the opening goal take the hurricanes into the lead, this seemed to frustrate the home team who stepped up their tough tackling and conceded a couple of free kicks awarded by a commendable referee. Shortly after a foul on striker Corben Galloway he managed to dribble the ball past several opposition players and unleash a shot into the back of the net. Strong defending from Lorenzo Nicoletti-Dowd and solid goal-keeping from George Beesley helped to keep a clean sheet for the Hurricanes going into half time. With a change of ends and a couple of substitutions, Eldon Celtic managed to gain possession of the ball and broke from their own half to score their first goal. However Henley showed the quality of their teamwork as some skilful midfield tackling and passing from Harry Biggs piled on the pressure, creating a number of opportunities for the Hurricanes. A cross coming in from the left side found the feet of Isaac Walmsley who quickly turned and put it decisively past the keeper to leave the score at 3-1 to Henley. In the final quarter, Eldon Celtic gained early possession and a quick break from the greens striker saw their score double to two goals. After the restart, more midfield pressure from Harry Biggs and Archie Butlin kept the ball in the opposition half which enabled a quick dribble from Corben followed by a shot on goal, this was saved by the keeper, but luckily for Henley an Eldon Celtic defender knocked it into the net for an own goal. The Hurricanes remained in control for the closing minutes of the match and came away with a thoroughly deserved and convincing 4-2 win over a tough opposition side. It was a fantastic team effort from every player and a great start to the season.